... Þorgeirr/Þorgerð(r) ordered Œpir to carve the runes. Almost just across the road is this fine rune stone, that was made by Œpir. 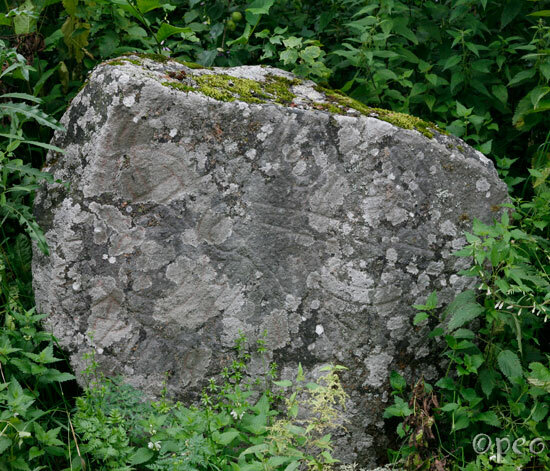 The stone is damaged, but the remaining runes are deep and clear, and so is the serpent.